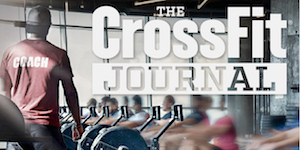 Take a quick tour of CrossFit Current and learn a little more about how and why we do things. It’s a great way for you to see if CrossFit Current is a good fit for you. We will also answer all your questions about membership, pricing and why CrossFit is great for all athletes. There’s no sales pitch. If you commit, so do we. 3. Now, You're Ready for Classes! Email contact@crossfitcurrent.com and we will get back to you within 2 business days. Also check out our class schedule and the blog for information about Current.